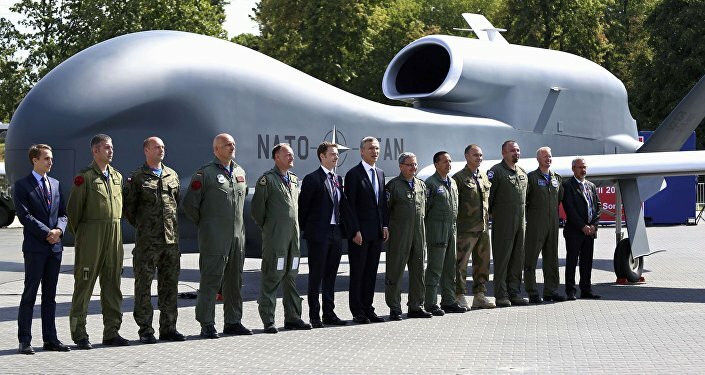 Amid the current strain in relations between Europe and Russia and the ongoing US push for further NATO expansion eastwards, two leading NATO states, Germany and Britain, now seem to be more vocal in their calls for dialogue with Moscow and a halt to further NATO expansion. “Once NATO expansion began in the mid-1990s, it became all but inevitable that it would continue to do so until it encompassed all the territory between the original NATO member-countries and Russia’s borders,” reads the article on the website of Gordon M. Hahn, an Analyst and Advisory Board Member at the US-based Geostrategic Forecasting Corporation. “Along the way, this process has driven a wedge deeper and deeper between Russia and the West, creating pivotal conflicts along Russia’s borders in Georgia and Ukraine and thereby endangering both sides’ security,” the author further explains. “Except for the last two stages, Brzezinski’s timetable played out approximately as he advised,” the author states. However, there are now calls within Europe to halt the further expansion of the alliance and thereby normalize the relations with Russia. “There are strong pro-Russia and anti-NATO currents in German and European public opinion,” Chairman of the Munich Security Conference Wolfgang Ischinger admitted in his article for Der Spiegel earlier in July. “We have to confront these and other questions, even if they may require painful responses. Strategic clarity is required if we want to bring the current crisis of European security to an end,” he then replied. Whilst NATO expansion is being criticized in Germany, it is coming in for more criticism in Britain, the one Western country that has up to now been its most vocal supporter. Right ahead of the NATO Summit in Warsaw in July, the British parliament’s Defense Committee delivered a lengthy report on the state of British-Russian relations. In its section on NATO expansion, the Committee warns against expanding NATO to include states the alliance is unable or unwilling to defend. “However in our view, we should be aware of the dangers of undermining the credibility of the Article 5 guarantee—and thus of the entire alliance—by offering NATO membership to states which a potential adversary would not believe we would go to war to defend. We should therefore make it clear that NATO would take Article 5 action in respect of any new member country before it was allowed to join the Alliance,” reads paragraph 152 of the report. “It is impossible to see this as anything other than a warning against extending NATO membership to Ukraine and Georgia, two countries which in the recent past NATO has shown it is not prepared to defend. Moreover the justification – an unwillingness to bear the sacrifices of expansion – is the same as the one made by Ischinger,” notes Alexander Mercouris, an expert on international affairs in his article for the online journal Strategic Culture Foundation.